Do trees have a memory? Do they have consciousness? Do they communicate with their environment? Can they hear, smell and feel? How do they respond emotionally to humans? Do they feel pain orexperience joy or sadness? What is our responsibility as humans towards the nature and environment in today’s digital age? 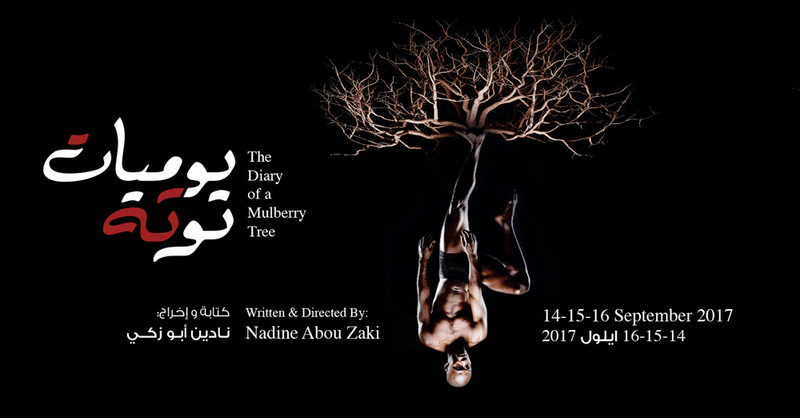 Please don't Touch the Trash is an Interactive Art Performance that will take place on April 16-17, 2016 during Moultaqa Leymoun within BIPOD (Beirut International Platform of Dance) at Al Madina theatre- Beirut. This interactive performance questions the concept of « waste » and its philosophical, social, economic and environmental dimensions. What is waste? What does it mean for us? Why are we that afraid of « touching » our waste? What if you were a performer for one night?! Come & be the sculpture at Waste pop-up shop - Saifi village - Beirut - Feb 17 2016 at 7pm. Nadine Abou Zaki will be signing her new book "Nazih Khater: L’HOMME TERRIBLE DE LA VILLE" at the Salon du livre francophone de Beyrouth (Beirut French Book Fair) on Saturday 31 October 2015 at 6 p.m.